Jurassic World 2 has already wrapped production and the movie is scheduled to arrive next year. The first movie didn't rely heavily on classic characters from the franchise, instead opting to introduce us to new characters, like Chris Pratt's Owen and Bryce Dallas Howard's Claire. But that's not going to be the case with the sequel, as Jeff Goldblum is set to return as Dr. Ian Malcolm. Though he can't talk much about it, Goldblum has teased a bit of what his role in the movie is going to be. Jeff Goldblum is currently promoting the upcoming release of Thor: Ragnarok, which hits theaters on November 3. While making the press rounds, he was asked about his role in Jurassic World 2, officially titled Jurassic World: Fallen Kingdom. He revealed, in his own cagey way, that Ian Malcolm is going to "have something to say" about the events of Jurassic World and the "misuse of technology." Here's what he had to say about it. "Ian Malcolm, yes, might be back in this one, and he might have something to say about the current confluence of circumstances around the use and misuse of technology. With some wry irony, deep wise passionate conviction, and he might put on a nice dark bit of clothing here and there...and a tint of glass maybe." 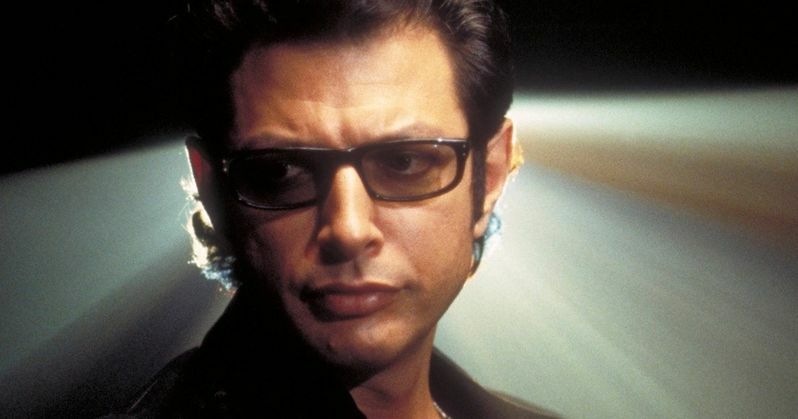 Ian Malcolm hasn't appeared in a Jurassic Park movie since The Lost World: Jurassic Park in 1997. So by the time Jurassic World: Fallen Kingdom arrives in theaters on June 22, 2018, it will have been more than twenty years since his last encounter, on screen at least, with dinosaurs in the franchise. Even going back to the first movie, Jeff Goldblum's eccentric character was very vocal about his feelings towards John Hammond and what he was trying to do with Jurassic Park, which he believed was a bad idea. The events of The Lost World only cemented that in his head. So what's Malcolm been doing for the last two decades? He couldn't answer earnestly, but he joked that the character has been playing jazz in a club once a week, just as Goldblum does in real life. "What's he been in the meantime? He opened a jazz club, probably, and he's been playing every Wednesday in a place called Rockwell. He calls it Rockwell." At the present time, it's unclear how much director J.A. Bayona is going to use Ian Malcolm in Jurassic World 2, but having him in there at all is sure to be popular among fans of the franchise. He's easily the most popular character the Jurassic Park movies have produced thus far. And based on these comments, it sounds like Malcolm hasn't changed all that much. You can check out the interview clip with Jeff Goldblum, courtesy of the Radio Times YouTube channel, for yourself below.